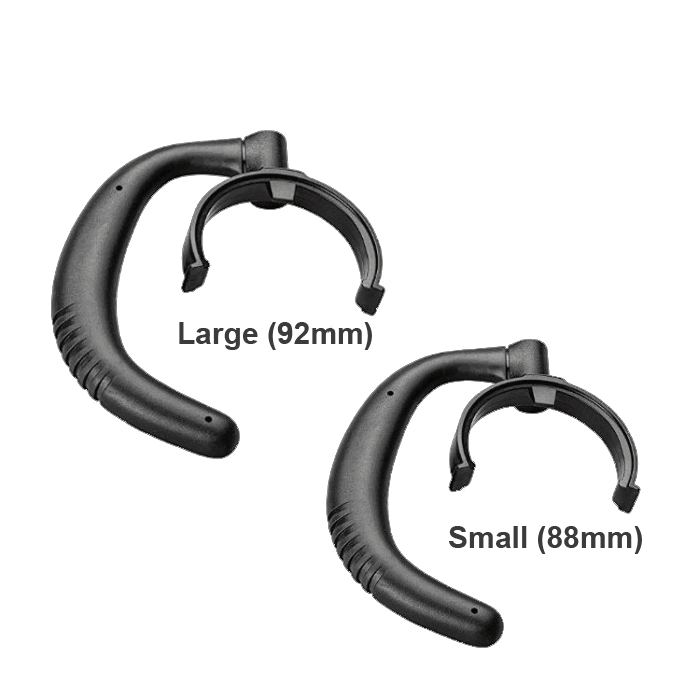 Plantronics Earloops HW530 (S/L) - 88814-01 - Headsets Direct, Inc. 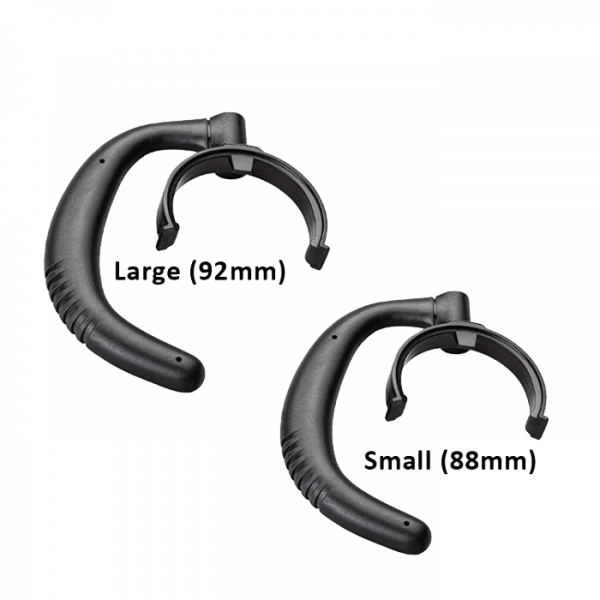 The Plantronics replacement ear loop # 88814-01 comes as a kit, including (1) small ear loop measuring 88mm and (1) large ear loop measuring 92mm. Thank goodness for these replacement hear hooks, they do break quite easily and with these replacements it is easier and more reasonable to replace than to have to replace the full headset. But these ear hooks are very comfortable, especially when wearing them for 8 hours every day. The two sizes are essential and very insightful.